Today at 1:16 pm is the summer solstice, the longest day of the year. Perfect timing too because I'm helping to run Camp Kane at the most awesome bookstore, Little Shop of Stories in Decatur. 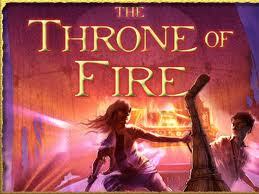 Camp Kane is based on Rick Riordan's Kane Chronicles, his series based on Egyptian mythology. First, can I just say that Riordan is a GENIUS? I mean, we've got almost thirty kids, most of whom have ready every one of his mythology-based, action-adventure series (now up to three series for a total of seven books). Plus, they can hardly wait for the release of the next one. Most of Little Shop's camps fill up quickly but the Riordan-based camps fill up within minutes. 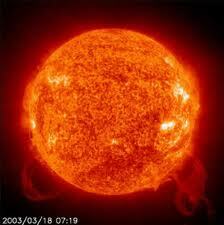 Because of the solstice, we've been talking a lot about Ra (or Re or Atum), the Egyptian sun god. Every day I tell stories based on the myths and every day I remind the kids that they must "put away their logic." None of the Egyptian myths will make sense if you try to apply logic or reason to them (probably true for most myths, but even more so here). So, you have creation stories that say Ra came out of the the waters of "nothing"--Nun. But how can something be nothing and still be waters? How can Ra be the creator god of all but still be tricked by Isis? How can Hathor be both a cow AND a lioness depending on her mood? How can you need your body to live in the afterlife but then have your vital organs across the room? The Egyptians wouldn't have seen any problem with the multitude of contradictions within their stories. That's what makes them so much fun. This morning I told the story of Ra's rage over human betrayal. Later, I'll tell the story of how Isis crafted an evil snake in order to trick Ra into revealing his secret name. And then the best part? We are having a reptile wrangler come with his critters later this afternoon. We will meet Sobek the crocodile and hiss back at Apophis the destroyer snake. Fun! Ha! I had the same trouble with the concept of Nothing in eighth grade science. "Atoms are filled with Nothing." What. It can't be nothing if you are NAMING it. It is clearly SOMETHING, how can they be "Filled" with Nothing? !